How often did you witnessed the unauthorized pen drive or USB drive access to your computer? I think there must be sometimes others connect unauthorized USB devices connect to your computer when you are absent and even copy your secret files. Worrying about this problem? Now, you can lock and unlock your USB port with the following methods. If you are the administrator of this computer, you can lock and unlock the USB port with the Device Manager. After entering the Device Manager, please select the target one and right-click it to disable it in the menu. 1. Sometimes, we may feel confused which one is the correct USB port we want to block. 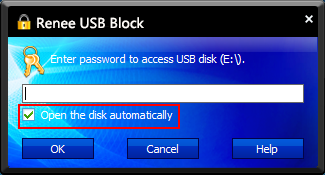 Even we block the correct one, how can we make sure other will not take off the keyboard and connect their USB disk to our computer? 2. Every time we want to connect our own USB disk or keyboard, we need to enable it. The steps below edit the Windows Registry. Be aware that changing any values improperly can cause errors or Windows to not boot. 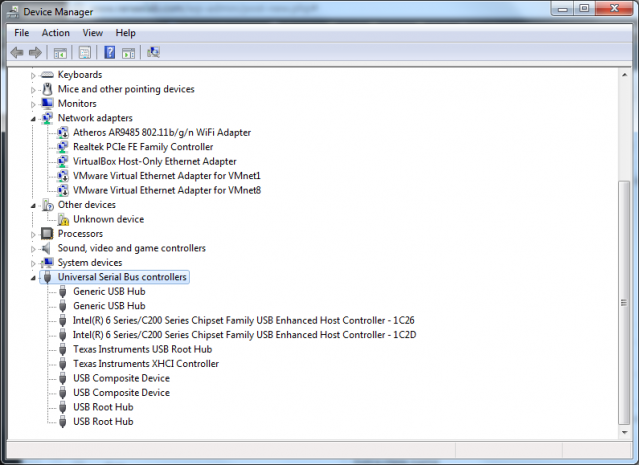 The following steps only work if the USB storage driver has already been installed. 1. Press “Windows” & “R” on your keyboard. And enter “regedit” on the pop up window. 3. In the USBSTOR, locate the “Start” DWORD and double-click “Start” to edit the value. Change the Value data to “4″ and then click Ok.
4. 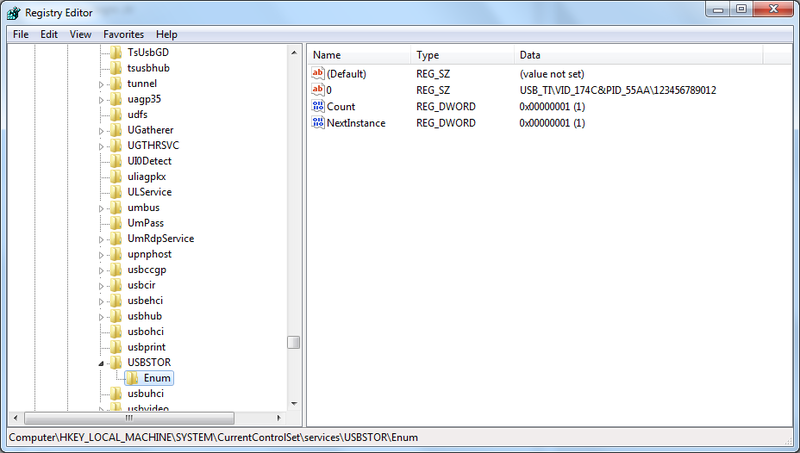 Once all the operations completed, close the Registry editor and Windows will no longer start the USB device when detected. 1. If you need to re-enable the USB after following the above steps follow the above steps again and change the value from “4″ to “3″. 2. 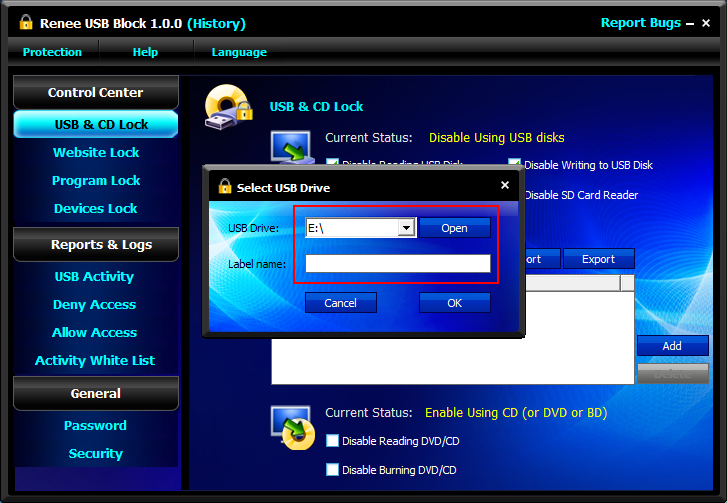 These steps only disable any USB storage device from automatically opening or running when connected to the computer (e.g. flash drive). USB devices like the keyboard and mouse will still work. 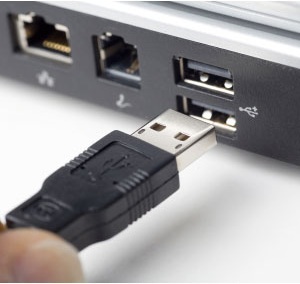 Most of the computer users may think the above methods too complicated or even inconvenience when you connect your own USB device? Then choose the professional but easy to use USB Locker – Renee USB Block is a good choice for you. Multifunctional – Besides locking USB, Renee USB Block supports block CD, Bluetooth, SD card reader, mobile phone (including Android & iPhone), programs, websites, printers, etc. White List is provided in each lock function. Reports and Logs function is available. Emails notifications when password entered wrong or change password. Advanced security settings help you protect Renee USB Block and protected object. Download the free version to lock your USB ports with 3 simple steps now! When you install Renee USB Block, you need to set the master password. Of course, you can change the password in “General” after installation. 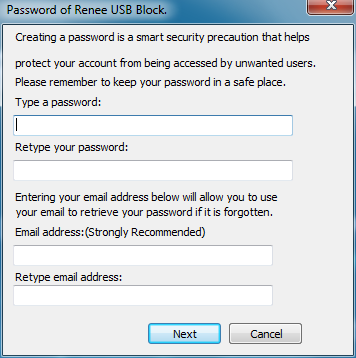 Want to protect PC from virus attack or unauthorized USB devices’ visit, use Renee USB Block to make full protection! Download the free version and start it now!